Explore the inland ocean of one of British Columbia’s most pristine wildernesses beyond Desolation Sound. Travel the waterways and view the islands, mountains, historic villages and wildlife. Meet the people of the coast. Mariners and landlubbers alike will succumb to the lore of the amazing shores and inlets that comprise the Broughton Archipelago near the north end of Vancouver Island. 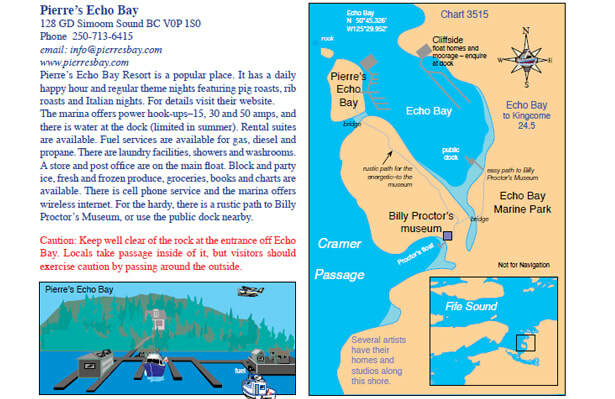 This guide assists mariners with choosing the best routes, anchorages and places to stay between Desolation Sound and Rivers Inlet. It also provides waypoints and distances. A recommended guide for anyone wishing to explore British Columbia’s little-traveled inside waters from the Yucultas to beyond Cape Caution. This easy-to-use guide is packed with the latest voyage planning, anchorages, marinas, currents, winds, hazards, distances, GPS Coordinates and safe passages. It is illustrated in full colour with informative diagrams, aerials and coastal photographs. 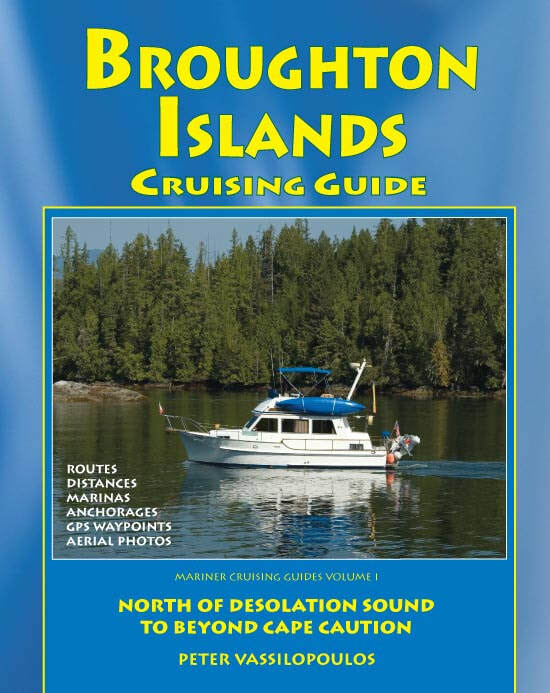 This book on the Broughton Islands Cruising Guide, explores the inland ocean of one of British Columbia’s most pristine wildernesses beyond Desolation Sound. Travel the waterways and view the islands, mountains, historic villages and wildlife. Meet the people of the coast. 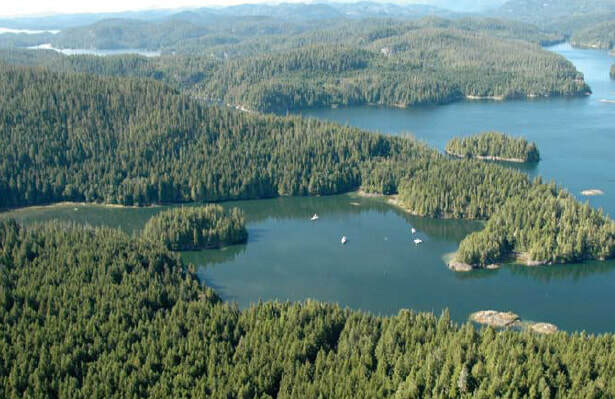 Mariners and landlubbers alike will succumb to the lore of the amazing shores and inlets that comprise the Broughton Archipelago near the north end of Vancouver Island. This guide assists mariners with choosing the best routes, anchorages and places to stay between Desolation Sound and Rivers Inlet. It also provides waypoints and distances. 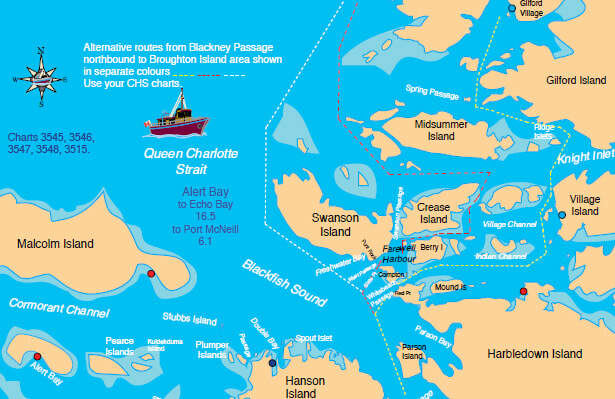 "I loved browsing through your Broughton Islands Cruising Guide. I pour over the pages about Stuart Island, Rivers Inlet, Telegraph Cove, Alert Bay, etc. and those about inlets I've enjoyed from the air. Once again, you’ve written a really fine book."